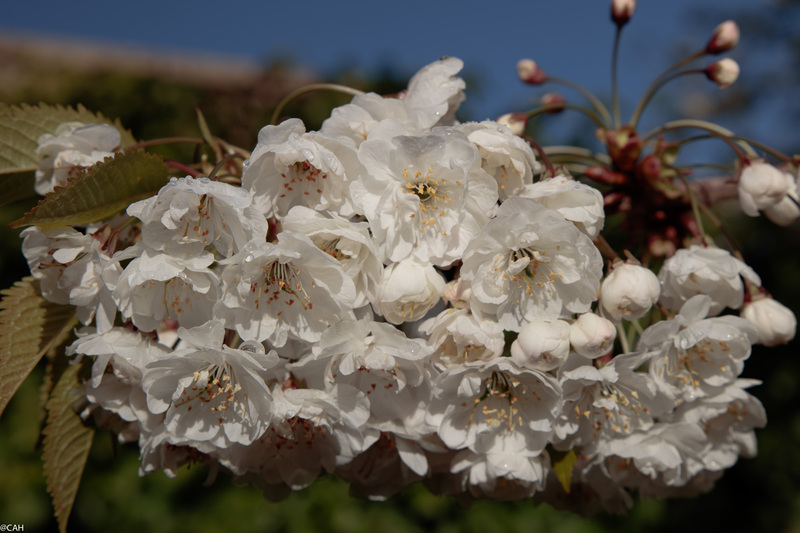 We spent a couple of days in Edinburgh shopping and catching up with friends under blue skies and cherry blossom before travelling to Northern Ireland. Cricket was being played in the Meadows in the sunshine. However, the return of winter weather was forecast and by Sunday evening the clouds were appearing. We did have some rain overnight but left early the next morning with blue sky again. 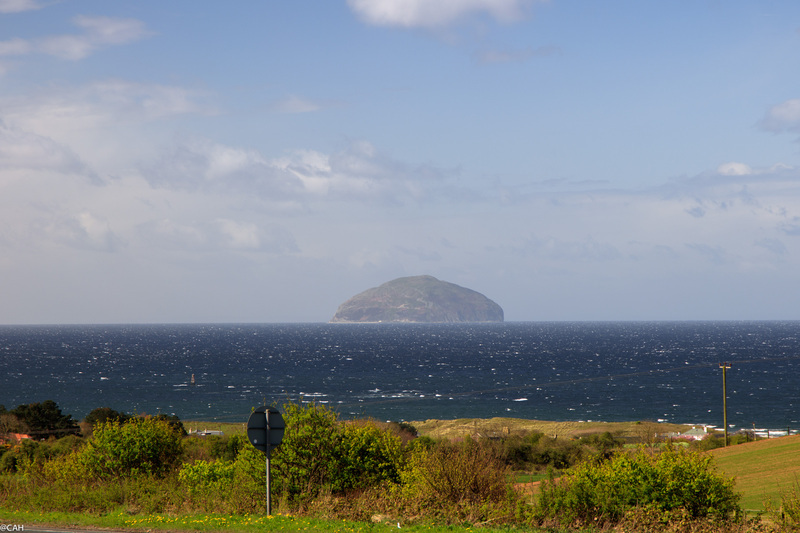 After the motorways, we continued down through Ayrshire on the A77. 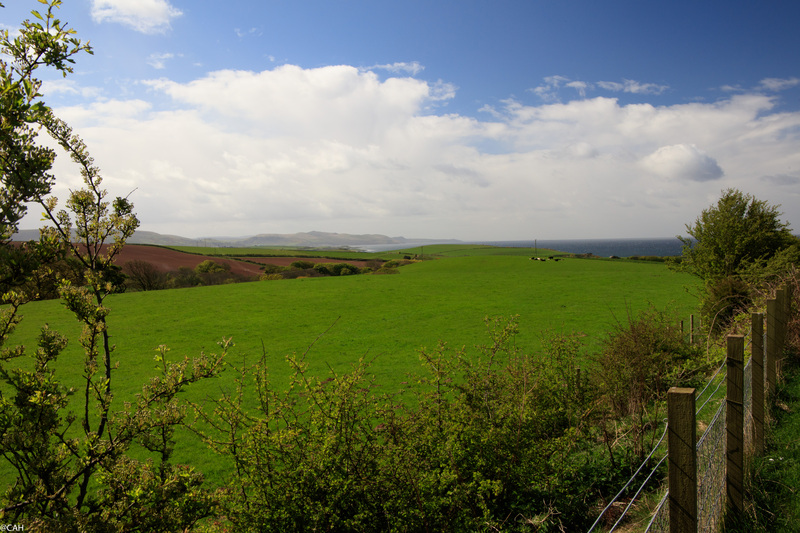 Just south of Maybole, there was a good view over the surrounding landscape. Sheep and cattle were enjoying the sun. While enjoying the view I could hear a woodpecker drumming over in a stand of trees but could not see him. I have also recently heard that some crows can mimic the sound of a woodpecker but did not see any crows either. 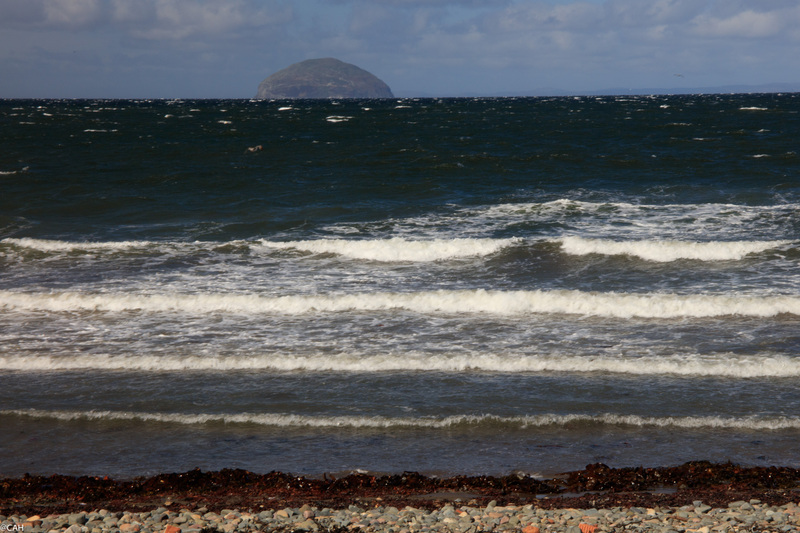 At the south end of Girvan beach we had our first sight of the sea and the Ailsa Craig. This unpopulated island provided the granite to make curling stones. It is now home to gannets, guillemots and also puffins. It is an RSPB reserve and can be visited by boat. Tours run from Girvan and Campbeltown during summer. 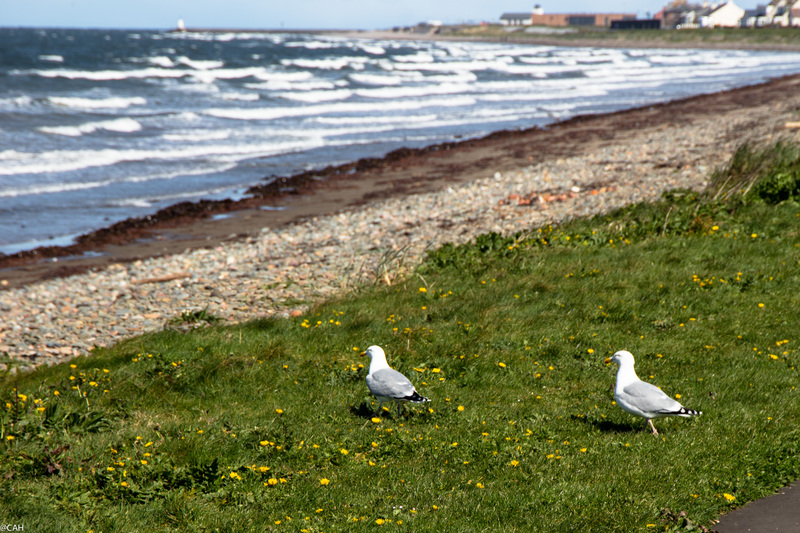 Further down the coast, there was quite a high wind and the waves were getting up. It might not be a very smooth crossing. 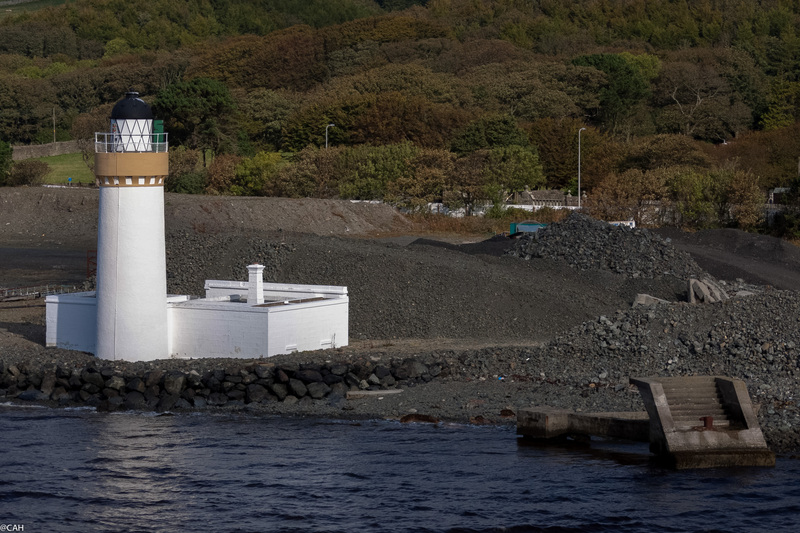 Our boat was due to leave from the P&O port at Cairnryan which has its own small lighthouse. As we are seasoned crossers of the Irish Sea and the Minch, the slight rolling and pitching of the boat did not bother us. On arrival in Larne, Facebook friends were posting snowy photographs from parts of northern Scotland. We managed to get to our destination before the hail and rain caught up with us for a short time in the evening but the sun is peeking through the clouds again this morning.